As my journey has continued the kit that I have been using has changed with the weather or my experience of what I actually need. 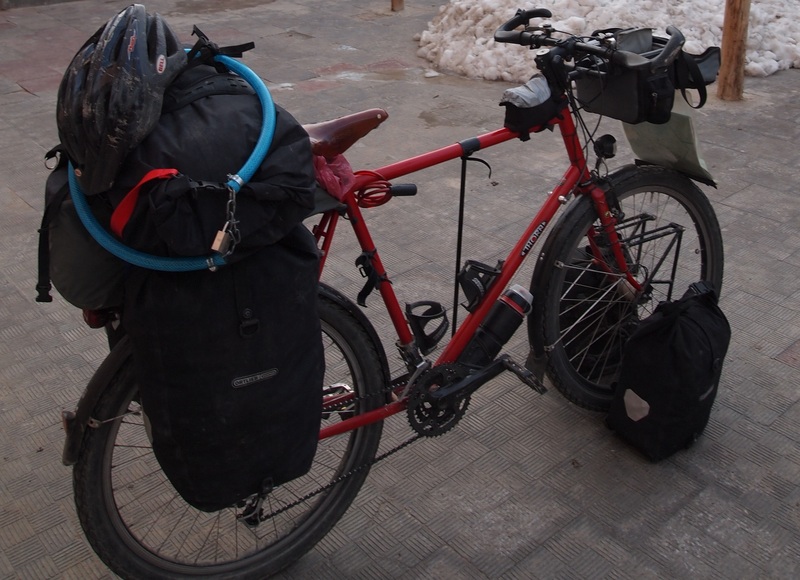 With my rucksack attached to the seat post and a dry bag placed on top of that through the arm loops to hold it steady. There is also a luggage tie on the back of the rucksack to stop it bouncing around and a couple of carabiners holding the drybag to the rucksack. When I started I just had my tent on top of the rucksack and the dry bag folded up as spare space. As winter arrived and I needed to carry more clothing I brought the large dry bag out so I could make more room in my panniers and so that I would have extra room for a down jacket and so forth. Now I am back riding in warm conditions I am still using the large dry bag as it is hard to give up the extra space and it makes it much easier packing when you have more room in your panniers. The Macpac Minaret has proved to be a good choice for a tent. It is pretty light weight at 2.4kg and is very sturdy. It has also stood up well in some pretty strong winds. As the inner and the fly pitch together it has been useful in the rain as you can pitch it up without the inside getting wet. 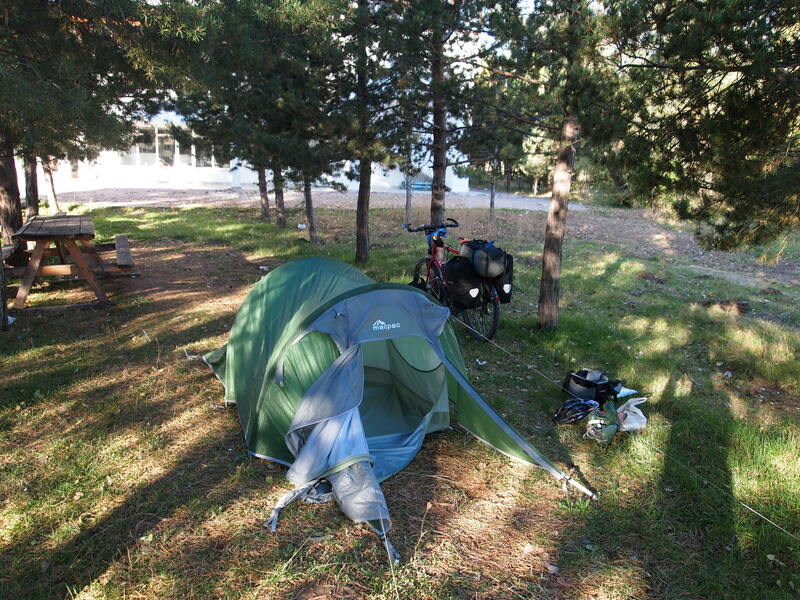 It also works well as a two person tent though there is not much room for kit with more than one person in there. The only issue with it is that it is not freestanding – you can’t pitch it on concrete or on very hard ground. This hasn’t been a huge problem so far but it would be nice to have the option. Ortlieb 10L folding bowl – I sent this home after about a year as I hardly ever used it. Topeak Alien II Multitool – good multi tool but I tend to use the double ended allen key and wrench more than the items on this. In India I was gifted with a double ended Allen key and a small wrench with many heads, which are both very useful as sometimes getting the multi tool into hard to reach bolts is difficult.